Today's topic is all about deodorant — a review on Triple Dry Fresh Anti-Perspirant Roll-On Deodorant! It is formulated with a triple action active complex and contains skin conditioning ingredients to not only keeps you smelling fresh, but also protects and moisturizes your skin. How Triple Dry deodorant works? The deodorant is absorbed into the pores where the sweat glands operate. Some remains on the surface whilst the rest is absorbed into the skin and regulates the amount of sweat leaving the body through the sweat glands in the area. Triple Dry Fresh Anti-Perspirant Roll-On Deodorant is not simply a deodorant. It reliably manages both sweat and odor, which means you get the benefits of both an anti-perspirant and a deodorant in one compact sleek bottle. While some deodorants require reapplication, Triple Dry promises protection for up to 72 hours. What's more, once perspiration is under control, you may only need to apply the product three times a week. The process is absolutely safe, absolutely sure. The power action of Triple Dry carries on even when the area of application has been washed, so there's no need to reapply so often. You don't even need to reapply after shower, swimming or sport, which is absolutely perfect for people with active lifestyles. The deodorant comes in a plastic bottle with a twist-off cap. 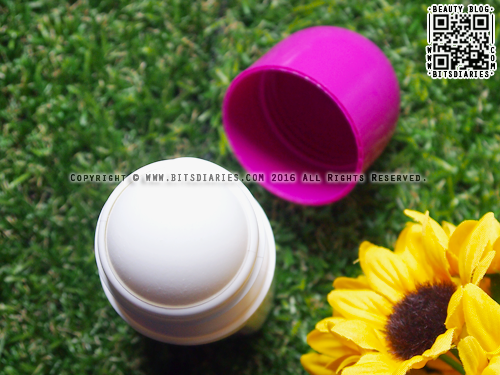 It has a large-sized roll-on head that makes application quick and easy. Usage: Shake bottle prior to application. Use it in the morning. For optimum results, apply nightly before going to bed. Wash as normal in the morning. 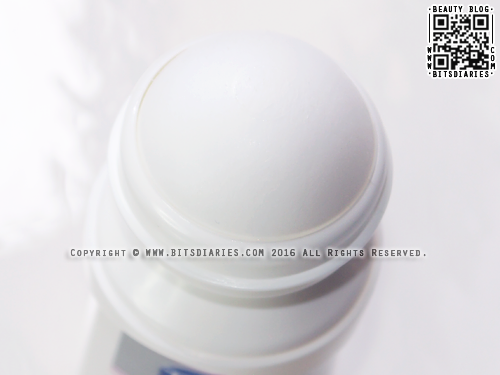 The deodorant glides easily over the skin, and it has a clear, creamy texture that doesn't leave any colored residue on the skin or stain your clothes. It also has a mild, fresh scent which I adore. It instantly gives a cooling sensation that lasts until it gets completely absorbed into the skin. The only downside is that it may take some time to dry. However, once it gets fully absorbed, it will not leave any traces — no residue, no stickiness at all. In terms of effectiveness..., I have been wearing this everyday for about two months; and it keeps my underarms dry and fresh the whole day, without causing any side effects like bumps or irritations. I would say it works like a charm for me and is by far the most effective anti-perspirant deodorant I have ever tried! I'm pretty sure this is my permanent deodorant from now on. Overall, it is powerful enough to control excess perspiration, and is the most effective way to stay dry and fresh all day even in hot weather. I highly, highly, HIGHLY recommend to give this a try! I think it would be great to use in summer. Note: It is also available in unscented roll-on, stick and spray. Collective Shopping Haul | Beauty & Misc.